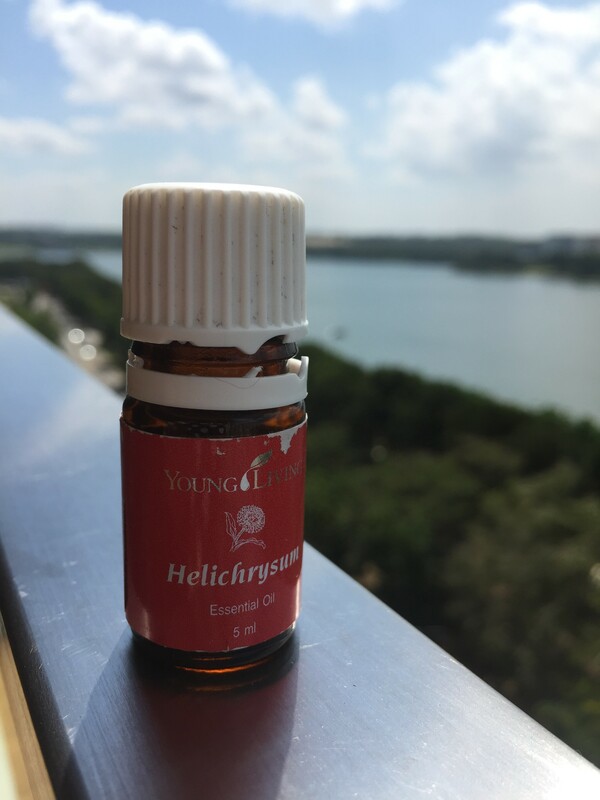 So, I wasn’t too fascinated with Helichrysum essential oil initially. I knew that it was a precious oil and used to support restoration of healthy body cells; that it was the ingredient in PanAway that makes it specially dear (meaning both precious and high in value); that it was used in beauty products; that it eased my menstrual pain and discomfort monthly, and that its scent and flowers remind me of chrysanthemum. That’s all. Do I sound hard to please? My feelings changed when I read that the Helichrysum flowers are commonly called Everlasting or Immortelle. While the reference to “long life” made by these names may have come about because the flowers dry without losing their color and beauty, it could just as well refer to the amazing properties of the oil, which has a wide range of applications. Of its applications, I already knew but that beautiful name just captivated me! The love story continues. While experimenting with toxic-free perfumes using essential oils to replace commercially-made perfumes, I was inspired by some name-brand’s perfume using Immortelle. I found a beautiful combination of a few essential oils for my own Immortelle Fields scent. That was when the love bug bit deep! I have always been a perfume girl but but certain perfumes (especially those with white musk) make me sneeze or even tear. I thought that they were just too strong but later found out that the toxic chemicals in them were the cause! Thank you body for knowing what is bad for me! Most commercial perfumes are made with synthetic chemicals like parabens, phthalates and synthetic musks that are linked to asthma, allergies, hormone disruption, reproductive problems or possibly cancer.Yikes! Why did I pay so much for expensive perfume to poison myself? I have been perfume-less for years now; essential oils make me smell and feel good. Now I make my own safe, natural & invigorating bespoke fragrance! 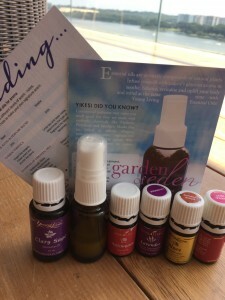 It is fun to try out different combinations of essential oils to make your own scents. Did I mention that my favourite scent is Immortelle Fields? You can even recreate your favourite commercial perfumes sans the toxins! I have been commissioned to recreate Drakkar Noir – touted as the most popular man perfume for decades but no longer in production. A google on the likely ingredients in it turned up leather and musk (which are glandular secretions from the male deer or if synthetically-made have been found to be carcinogenic). I won’t be adding anything synthetic or harmful to the body, into my own perfume, for sure! Since Immortelle Fields, I have kept Helichrysum or my perfume spray close to me! You see how important a name is? Look at the picture of the bottle of Helichrysum all the way at the top of the post and see how worn the label is? My son and husband have been helping themselves to the bottle for their deep scrapes on their knees and elbows, sustained from a fall off an alpine slide in Utah and an accident on the roller blades. They have discovered that Helichrysum makes their scraped skin nice and whole. I had to keep reminding them to use sparingly as a drop is more than what they need! Then I comfort myself that the essential oil is doing more good out of the bottle rather than in!